On the eve of Cannes Film Festival, Variety is reporting that Daniel Radcliffe, star of Imperium and the irreverent Swiss Army Man, has signed on to headline Guns Akimbo for Occupant Entertainment. Pitched as an action comedy, Jason Lei Howden (Deathgasm) is behind the lens for this one, and we understand Occupant and Altitude Films are preparing to launch sales at Cannes next week – indicating that Radcliffe has climbed aboard in the nick of time. The former Harry Potter actor will no doubt inject some star power into Guns Akimbo, which chronicles the harrowing story of Miles, an Average Joe who suddenly finds himself forced to fight a gladiator-like battle for a dark website that streams the violence to a rabid, worldwide audience. Evoking memories of Charlie Brooker’s stunning Black Mirror series, Miles then begins his quest to save his kidnapped ex-girlfriend, Nova, by any means necessary. With Jason Lei Howden at the helm, we can safely expect an über-stylish odyssey into the dark web from Guns Akimbo. Contestants are chosen by a clandestine gang known as Schism, who handicap the weaker contestant to further stack the odds against them. Initially, Miles’ lifetime of running from his problems pays off as he manages to elude his first opponent but when Nova is kidnapped, he must finally stop running and overcome his fears to fight for the girl he loves. Following up on post-apocalyptic thriller The Girl With All the Gifts, Altitude’s next project is beginning to coalesce. 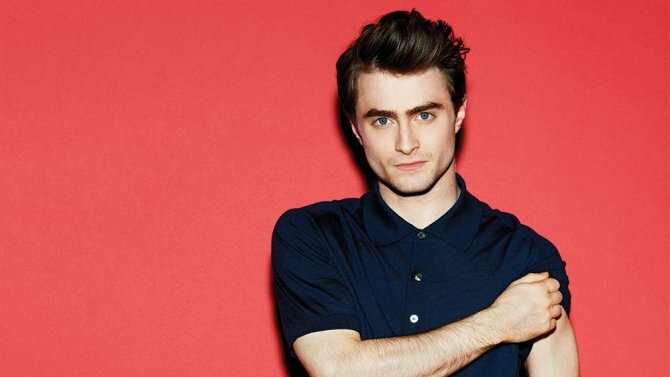 Daniel Radcliffe is officially set to spearhead Guns Akimbo, and with Cannes Film Festival almost upon us, it shouldn’t be too much longer before we find out more about Jason Lei Howden’s tech-savvy actioner.